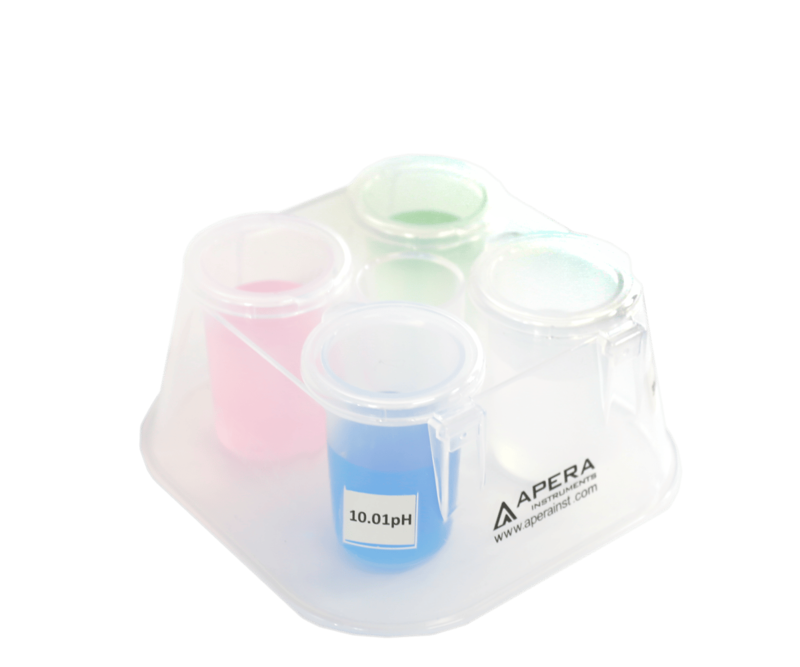 The Apera Instruments' unique CalPod helps users organize all the solutions in one place and create no more mess in the calibration process. 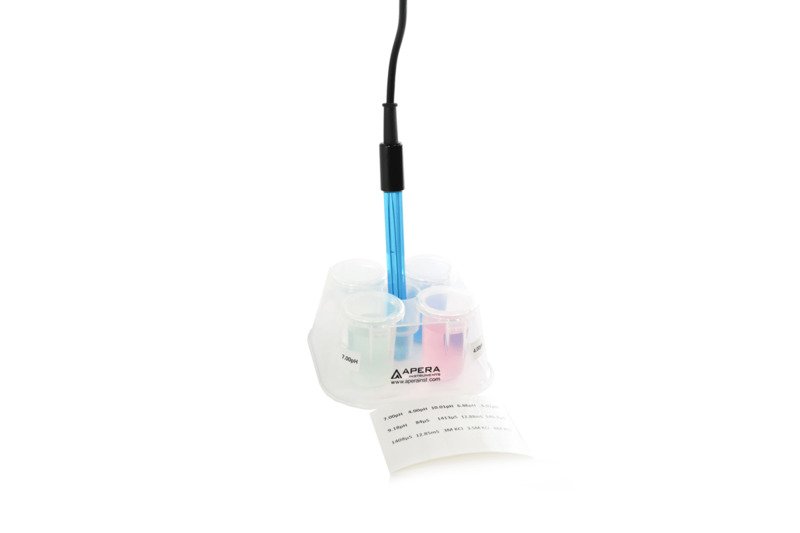 The CalPod can hold up to 4 types of different solutions simultaneously. The hole in the center of the CalPod is for users to place the electrode. This CalPod is a great accessory for pH meters and all other kinds of meters that require regular calibration. After calibration, close the lids so the solutions can be used multiple times. 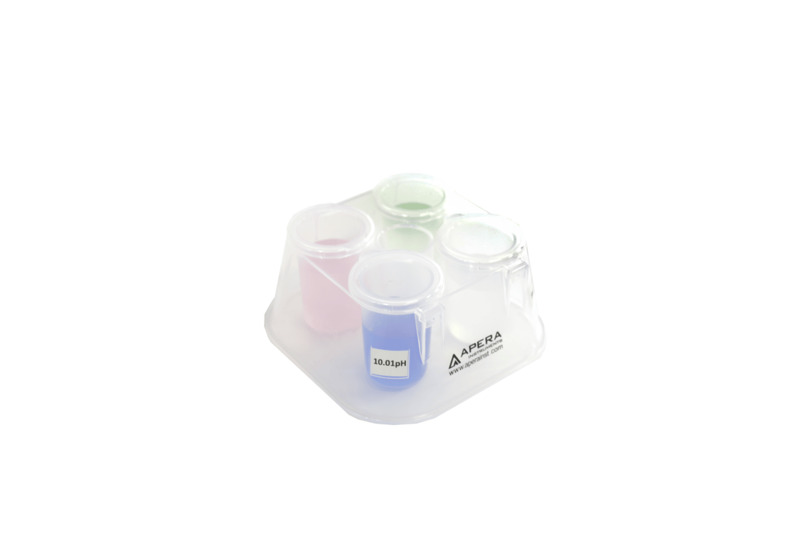 Stickers for commonly used solutions for pH and conductivity testing are included. Blank stickers are provided for users to write special solutions' names.